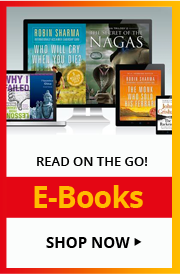 "The Power Of Your Subconscious Mind is a self-help book, in which the author focuses on his theory that harnessing the power of the subconscious mind can bring about an amazing and positive transformation in an individuals life. Murphy puts forth the theory that the subconscious mind has profound influence on everything an individual does and experiences. He insists that if an individual unreservedly believes in something and clearly pictures it in his mind, he/she succeeds in removing all the mental blocks that stand between the vision and the reality. He concludes that every individual can manifest a successful reality just by wholly and truly believing in it. Murphy has combined scientific research with spiritual philosophy to create numerous techniques to control the incredible power of the subconscious mind. The techniques provided in the book are simple and invaluable. They are not merely theoretical in nature, but are backed by numerous real-life cases in which the techniques have proven highly effective. The exercises and guidelines provided are highly practical, and can be adopted by absolutely anybody to uncover the secrets of prosperous living. These exercises provide a wide range of benefits. They can be used to overcome bad habits, compulsions, and phobias, strengthen relationships, build confidence, cure ailments, improve health, fight aging, and be successful. The book helps each reader explore and utilise the latent power granted to every human being - the power of the subconscious. 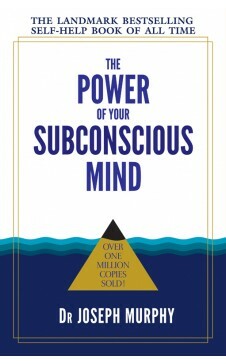 The Power Of Your Subconscious Mind was originally published in 1963. This particular edition is a revised edition by Ian McMahan. It was published in 2006." Joseph Murphy, PhD., D.D., has been acclaimed as a major figure in the human potential movement, the spiritual heir to writers like James Allen, Dale Carnegie, Napoleon Hill, and Norman Vincent Peale, and a precursor and inspirer of contemporary motivational writers and speakers like Tony Robbins, Zig Ziglar, and Earl Nightingale. He was the Minister-Director of the Church of Divine Science in Los Angeles for almost three decades and the author of numerous books that have sold tens of millions of copies in dozens of translations throughout the world.